The Green Heart Partnership (GHP) was a six-year initiative across the county of Hertfordshire which began in April 2004 and was project managed by Haring Woods Studio. It was a partnership between Arts Council England, East and the eleven local authorities of Hertfordshire that aims to bring together the arts and environment sectors and collaboratively achieve sustainable solutions for the public realm. From the outset, Haring Woods saw an opportunity to make a long-term difference to the working processes of local government through GHP. Using Haring Woods’ core methodology, GHP built interdisciplinary teams with professionals from a range of departments and brings artists and creative professionals to the team to instigate a creative approach to solving problems and developing achievable action plans. The Haring Woods team worked with socially and politically motivated artists and teams of local authority officers to address issues and obstacles for the development, delivery, and management of the public realm at the earliest possible stage. Many of the creative, innovative and high profile aspects of GHP’s projects may never have come to fruition without this effective partnership working process. It is often only through the creative and collaborative approach that crucial budget and time-saving opportunities for reallocating resources and sharing work-load are identified. GHP worked on a number of projects across Hertfordshire, including some county-wide initiatives. These involved creative practitioners within local authority teams working to engage the community in a specific site, physically redevelop the public realm or develop new local government policy about future public spaces. GHP has had a significant impact on the way that local authorities develop projects in general, and has resulted in more efficiency and closer working relationships across departments. Funding for the core work of the partnership came in the form of annual subscriptions from each of the partners local authorities (redirecting their previous subscriptions to the Local Government Arts Forum) matched by a substantial Grants for the Arts award from Arts Council England, East. Specific projects were funded by the individual partners and GHP’s approach has also secured significant match funding from local, regional and national partners. 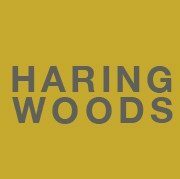 Based on their knowledge and experience of delivering collaborative arts and environment initiatives, Haring Woods was appointed as the project managers of GHP in 2005. Haring Woods began to explore the way in which their own practice and experience could support the development of GHP and extend its achievements. GHP is focused on improving the design quality, function, and sustainability of public spaces, and has supported the development of policy and strategy as well as physical developments in the public realm in Hertfordshire. GHP follows Haring Woods’ core methodology of bringing a range of urban professionals together with artists to instigate a creatively-led and inter-disciplinary working process. The team consists of Planning Officers, Environmental Officers, Health and Safety Officers, Highways Engineers, external stakeholders among others and together they address the inevitable knowledge gaps in the project teams. Haring Woods quickly identified the value of the Perception AREA community engagement approach to support these inter-disciplinary teams to make informed decisions. By placing artists at the heart of the community, it enables them to capture the perceptions of local people and qualitative information that can direct and help focus the team’s decisions.Funding for the core work of the partnership came in the form of annual subscriptions from each of the partner local authorities (redirecting their previous subscriptions to the Local Government Arts Forum) matched by a substantial Grants for the Arts award from Arts Council England, East. Specific projects were funded by the individual partners and GHP’s approach has also secured significant match funding from local, regional and national partners. GHP worked with Herts County Council, Barratts Homes, Chetwood Associates and artist Alisdair Currie to design a footbridge over the river in Bishops Stortford, which was completed in 2007. Working with landscape designer Trudi Entwistle to develop a new public space, transforming a ‘sunken roundabout within a business area into an urban pocket park. Three permanent shelters designed by HWS, artists Superblue and master carpenter Mark Cosgrove in consultation with the local community. Artist Simon Lee Dicker worked with officers from Three Rivers District Council to develop concepts for imaginative and creative open spaces which explored how space could combine landscaping, recreation, and play. New communications tools to develop and promote the countywide sustainability guide.